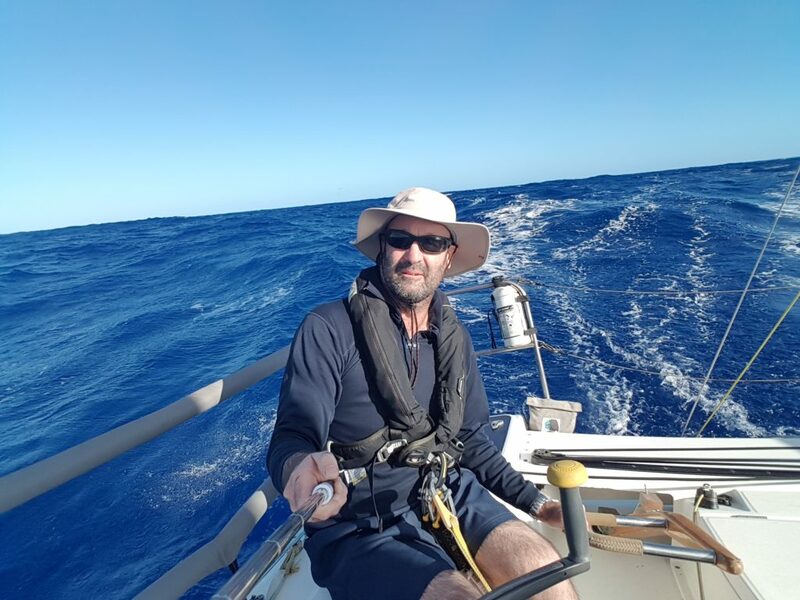 Singlehanded sailing gets massive publicity right around the world, probably due to the fact that those who follow it are in awe of the sailors who have to do everything on their own without any outside assistance. These are hardy men and women, and generally damn fine sailors too. Since the heady days of Bertie Reed, John Martin, JJ Provoyeur and Neal Petersen, South Africans have not participated in this aspect of our sport. 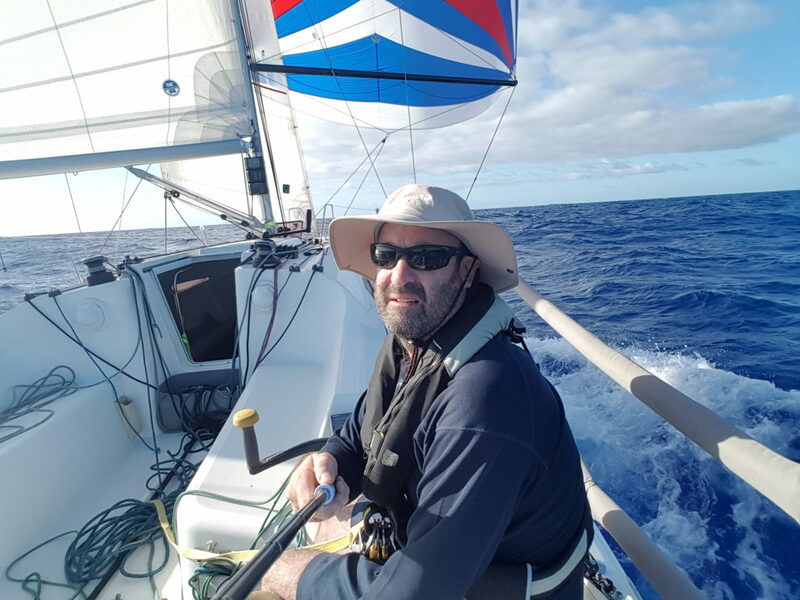 That was until late last year when Donald Alexander completed the Route du Rhum race, and more latterly Dale Kushner competed in the Cape Town to St Helena Race as the only singlehanded competitor. I certainly hope that Alexander and Kushner have inspired others to consider the singlehanded option. Have you always harboured feelings to race singlehanded? As a boy I read the book ‘Dove’ by Robin Lee Graham which first sparked my interest. I followed that with other books and read as much as I could. I have always wanted to sail singlehanded. Incidentally, I did my book orals at school from Standard 3 till halfway through high school on the same book – and no-one was any the wiser! Who would you say has inspired you the most in terms of singlehanded sailing? There are so many, The usual Known Players like Robin Knox Johnson, Chay Blythe, Dumas and many others. To put it into a South African context, there are the well Known and internationally respected Bertie Reed and John Martin both of whom I have always looked up to, and both of whom built up the South African reputation internationally. But perhaps the one I could identify with better was JJ Provoyeur. 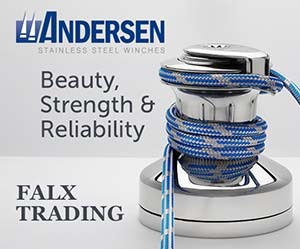 He was a good sailor who had never sailed singled handed, and decided he would like to try it, so he sailed his Atlantis 36 ‘Lusty’ to Dassen Island for the weekend to see if he could manage. He was hooked, after which he dived in deep and went on to do a very successful singlehanded Around the World Race. He was not a professional yachtsman, and I have the Corinthian spirit at heart. He had a very good book on his adventure written, and it’s worth a read. Then there are other lesser knowns like Piet Scheepers and Peter Roelofze who have proven themselves. I will never forget that John Martin was the one who once said to me, “just go and do it”, and he has always been supportive in this regard. Your boat ‘Yolo’ is quite small, but manageable. Were there any mods you needed to make or specialised equipment you fitted? The Sunfast 3200 was actually designed for a specific race called the Transaquadra, a race starting in France and Spain with a stop in Madeira and finishing in the Caribbean. They get over 20 Sunfast 3200s in this event every time with a total of around 60 boats. The rules perhaps explain the French’s take on short handed sailing – all boats need to be production boats. You need to compete single or double handed. All crews need to be 40 years or older, and no professionals are allowed to compete. This meant that the boat was very suitable for shorthanded sailing. I have been very focussed on shorthanded sailing, and in 2014 Ian Coward, my long time friend and sailing companion, and I did the Cape to Rio Race on her and won our class. We have also done a number of other Short Handed events together, including the South Star. But singlehanded sailing comes with risks so one needs to plan for contingencies. The main two items was that I fitted was a second self-steering device as a back up, and I carried a small generator in case I had problems charging – which was my biggest concern. Besides this I went through the boat from end to end, meticulously going through everything in an attempt to try and reduce failure risks. This included removing the mast and having work done on it with improvements – and of course a full service. 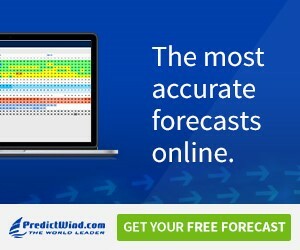 What preparations did you personally make for yourself? I lost weight and tried to increase my fitness levels. I focussed on being able to sleep for short stints, wake up and immediately be able to function properly, and then be able to get to sleep again quickly. Also, I did a lot of scenario planning. Did you do any singlehanded passage making in preparation? I have done a number of singlehanded trips and a few on ‘Yolo’ as well, so I was well prepared and knew the boat. Having raced all your life with crew it must have been difficult to leave the dock on your own? No, offshore passages can start without the usual “lump in your throat”, be it with crew or alone. 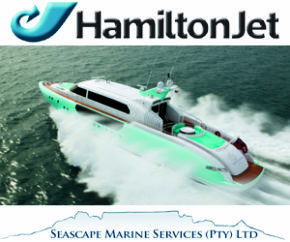 One is embarking on a serious undertaking on the ocean which comes with its many risks and it would be natural to be acutely aware of it when you are saying your good byes to family, loved ones and friends. At any point in the race were you ready to pack it in – or wonder what the hell you were doing out there? The main thoughts that go through your head, or at least in my case, is your responsibility to your family. So one needs to try and balance and focus. Were there any bad times – and if so what were the hardships, and what was your daily routine? My goal was to be a bit more conservative than when sailing with a crew, and as singlehanders do, try and anticipate. I felt I did a good job at that. In hindsight I could perhaps have pushed a bit harder. I managed to keep everything in check and for the most part everything went according to plan. It’s difficult to give a day’s routine simply because where does the day start? It pretty much evolves around steering, trimming, checking chafe, gybes, drops, hoists etc. and then navigation. Battery management was very important, as was banking sleep and eating. Then I simply had to manage the boat on an ongoing basis – 24/7. I found that I would prepare an additional meal at around 02h00, and would snack regularly. I think one expends a lot more energy than envisaged, so it was important to ensure correct calorie intake. 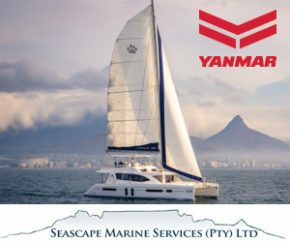 Is a bigger boat for singlehanded sailing something you aspire to – and if so what? The simple answer is YES. I would love the opportunity to do some of the bigger events and sail a bigger boat. But just bear in mind, the majority of short handed racing worldwide is in the smaller boats, ie. Minis and Figaros. What are your long-term goals in terms of singlehanded sailing? The reality is that living and operating from South Africa makes it difficult to further one’s singlehanded aspirations. All the events happen in the Northern Hemisphere. I have self-funded myself to date. But given the opportunity I would be really keen to compete internationally.